World First Procaryotic TGase (Eucaryotic Laki-Lorand Factor-Factor Xlll). "Anyone fascinated with modern science, particularly biotechnology, will appreciate this book." "A fascinating adventure into the interworkings of the emerging biotechnology industry and its complex relationship to academic scientists." "An engaging and well-written story." "A fascinating book for anyone who loves science." 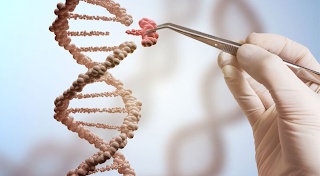 High Throughput Sequencing-Based Approaches for Gene Expression Analysis R. Raja Sekhara Reddy and M. V. Ramanujam Abstract Next-generation sequencing has emerged as the method of choice to answer fundamental questions in biology. Abstract Next-generation sequencing has emerged as the method of choice to answer fundamental questions in biology. This is where and from Whom I learned Science and Scientific Freedom!! !.United the States. THE NEW BIOLOGY OF 21ST CENTURY. CAN INDIA INNOVATE IN THESE INTERESTING TIMES?. GENOMICS TO RESCUE??. THE MAKE IN INDIA FUTURISTIC PLANS OF NEW INDIA. Prof Dr Nirmalya Kumar, A Kellogs Business School-NorthWestern Univ. faculty, (see London Business of Economics-Talk-You Tube) in his famous 2012 TEDx talk proposedthat India innovates invisibly in all walks of Business including Pharma and Biotech out of his research findings. We embarked on a natural journey in our Company by doing a global foray on how we are perceived by the foreign MNC firms and Smaller firms in USA which are in a developedworld, that is North American Soil, European Union and Japan. US, Germany and Japan are power centers of Innovation and China is now emerging a distant second but can India survive this Global peer competition.